Australia’s racing history is undoubtedly a long and illustrious one, studded with legends and superstars that have left an indelible mark on the annals of time with breath-taking achievements and record-breaking accomplishments. 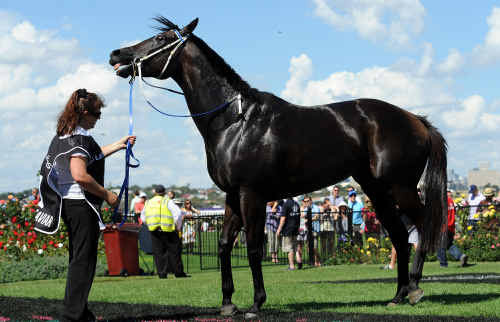 One such legend is the dark bay filly, Black Caviar. Now retired, this Australian thoroughbred is widely regarded as one of the best performing racehorses of all time. Foaled on 18 August 2006, Black Caviar’s legendary racing career spans four remarkable years from 2009-2013, with 25 unbeaten starts at an elite level of competition. Black Caviar holds the historic record of being undefeated in all her races- a record that remains unmatched till this day. Dominating the track throughout her 4-year racing career, Black Caviar raced for a total of 1671.96 seconds or 27.87 minutes- thrashing an entire generation of 193 top racehorses in Australia. This flying filly is best known for her extraordinary stride and remarkable sprints that have resulted in her spotless track record of being undefeated in all her races. Black Caviar boasts a stride that is far bigger than most with an impressive 8.33 meters which gives her the ability to run in sectionals and maintain them at a remarkable speed. To put that in perspective for you, that’s 24 strides over a 200 metre distance. This means that over a 1200 meter track, she’ll ease away at an astounding 63 seconds. Black Caviar’s endurance and speed makes her a noteworthy and commanding competitor on the racetrack, and was as exciting to watch as the real slots NZ has to offer. Three-time Australian Racehorse of the Year (2011, 2012, 2013). Placed first in the World Thoroughbred Racehorse Rankings in 2013. Longest undefeated streak in horse racing in 100 year history. Won 15 Group 1 races competing against the best thoroughbred racehorses in Australia. Before Black Caviar stopped competing she was regarded as the second-best active racehorse in the world next to another racing legend, British Frankel. Achieved her unbeaten record of 25 wins against Australia’s thoroughbred elite race horses on seven racetracks across Australia. With a heavy heart, Black Caviar’s retirement was announced by her owner Peter Moody on 7 April 2013. Black Caviar retired gracefully with a flawless record and joined the iconic ranks of distinguished and undefeated thoroughbred racehorses in Australia’s horseracing history. Such remarkable talent doesn’t simply fade away from memory and her incredible story does not end with her retirement. Black Caviar started a successful stud career passing on her superior genetics to a number of foals. 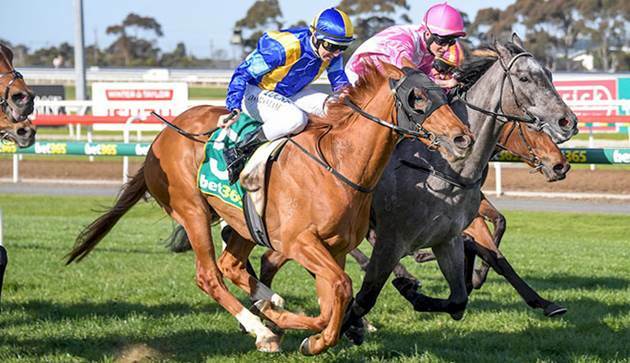 Most recently, her first foal won her first race in a 100-meter maiden track at Geelong. In October 2018 she gave birth to her fifth foal who, according to some, is already showing promising potential.